Fall bulbs are a plant species that need to be planted in the ground in the fall. They require a cold period of a minimum of 6 weeks to form roots. They will bloom at different times in the spring depending on variety, warmth, and lighting conditions. When should I plant fall bulbs? Fall bulbs are best planted before the first hard frost. It must though be after the temperature stays below 18°C during the day. This is typically from late September to early November in Manitoba. What should I look for when I am picking out fall bulbs? Look for bulbs that are firm. If bulbs are mushy they will rot. The bigger the bulb is that you pick, the more blooms you will get and the larger they will be. Bulbs will grow larger in the ground after blooming. Pick out a variety of early, mid, and late blooming bulbs to ensure a long show of color. Check with your garden center that the bulbs are zoned for our climate. Condition the soil by adding 3” of peat moss and 1” of manure into your bed. Work it into a depth of 12” deep. Dig hole as deep as instructed and place bulbs with the pointed side up. They can be planted in individual holes or in a large hole as a group. Refer to package for planting depth and distance. 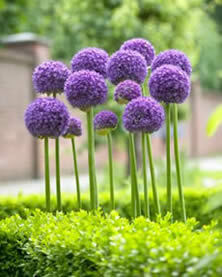 Generally you want to plant the bulb 2 to 3 times deeper than the diameter of the bulb. After bulb is covered with soil water thoroughly. Where should I plant my fall bulbs? Spring flowering bulbs thrive in partial to full sun. 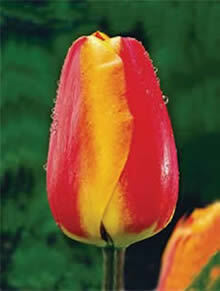 Remember to take into account that trees will not be leafed out yet when the tulips emerge. Good drainage is important, so avoid low lying soggy areas. Fertilizer is not necessary, but performance will be increased if you add bonemeal or bulb booster when you plant. Use 1 tablespoon per bulb. How do I keep squirrels from digging up my bulbs? Soak in plantskydd before you plant the bulbs. Bloodmeal can also be sprinkled in the holes when you plant. Disguising the area after you plant with leaves or mulch can possibly fool the critters! 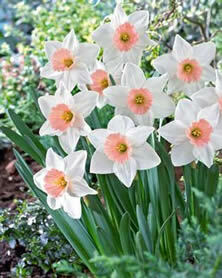 This will also help protect the bulbs from harsh winter temperatures. What do I do after the bulbs have finished blooming in the spring? Let the leaves die down naturally, do not cut them off or mow over them. After the bulbs have bloomed it is important to let them rest and gather nutrients from soil so that they can bloom again next year.